Rabbi at Hebron in the middle of the seventeenth century; contemporary of Moses Zacuto, who approved his works. Ḥabillo was the author of: "Ḥebel ben Yehudah," a commentary on the Haggadah of Passover, Mantua, 1694; and "Ḥeleḳ Yehudah," a commentary on Ruth, published together with the text, Venice, 1695. 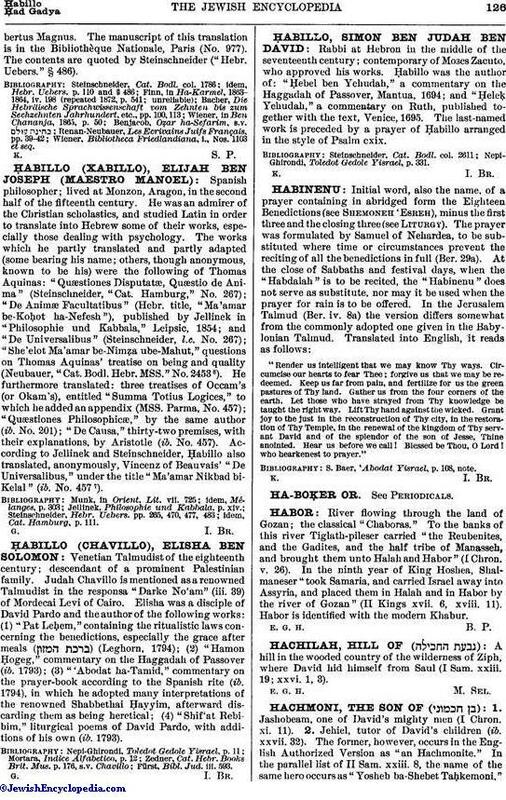 The last-named work is preceded by a prayer of Ḥabillo arranged in the style of Psalm cxix. Nepi-Ghirondi, Toledot Gedole Yisrael, p. 331.